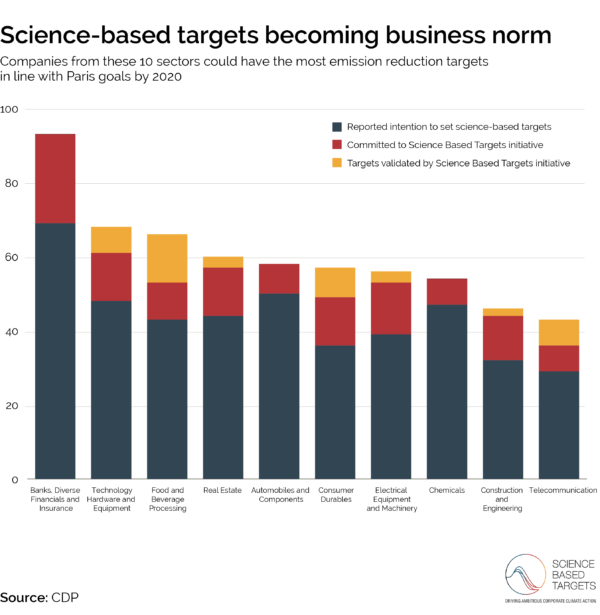 In the two years since the signing of the Paris Climate Agreement, businesses from around the world have stepped up to align their policies with limiting global warming, and now 327 major corporations have committed to aligning their emission reduction plans with the goals of the Paris Agreement through the Science Based Targets initiative, 85 of which have already had their plans approved. Writing earlier this week to celebrate the two year anniversary of the Paris Agreement, Alberto Carrillo Pineda, Director of Science Based Targets and RE Procurement at CDP (formerly the Carbon Disclosure Project) explains that science-based climate targets for businesses are becoming the new-norm, with 864 of the companies reporting to CDP in 2017 stating their intention to set a science-based target, and another 327 major corporations already having committed to aligning their emissions through the Science Based Target (SBT) initiative — 85 of which have already had their targets approved by SBT. 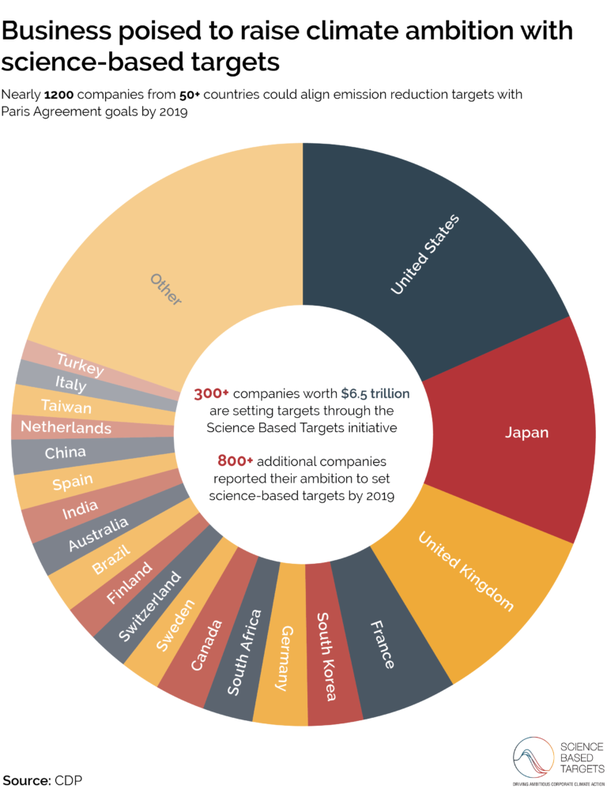 In the end, that’s nearly 1,200 companies from around the world that could align their operations with the Paris Climate Agreement by 2020, spanning some 50 countries and 70 sectors including finance, real estate, food processing, and the telecommunications sectors. There are also three very specific countries which are leading this charge, as can be seen below. But other regions are similarly stepping up, with SBT highlighting companies from all over the world, including Greece, Russia, Kenya, Saudi Arabia, Israel, Ecuador, and Jordan representing the Middle East and Europe specifically. The pace of companies subscribing to seeking science-based targets and specifically approval from the Science Based Targets initiative has escalated quickly, rising from 114 in December of 2015, 150 in May of 2016, and surpassing 300 in September of 2017.